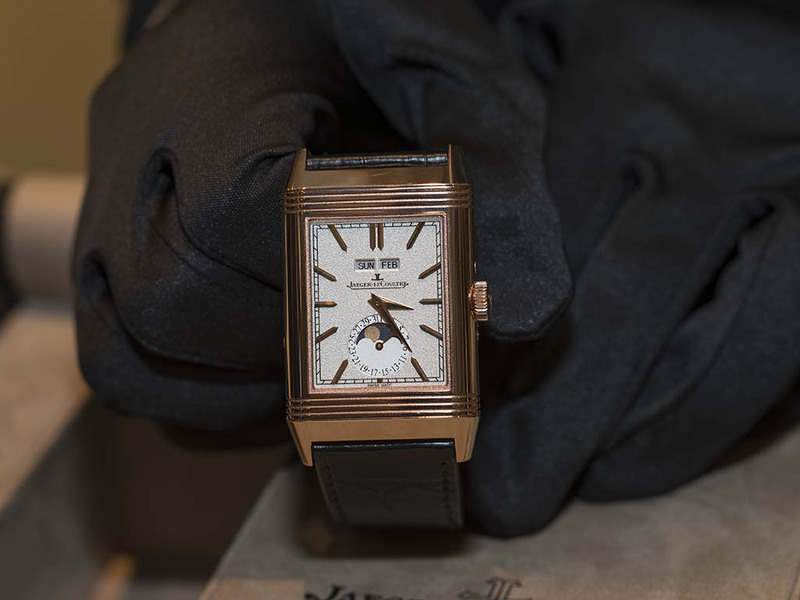 Let's have a close look at Jaeger LeCoultre’s SIHH 2016 novelties through our Emre Şişman's exclusive photo shoot at the brand's amazing booth. 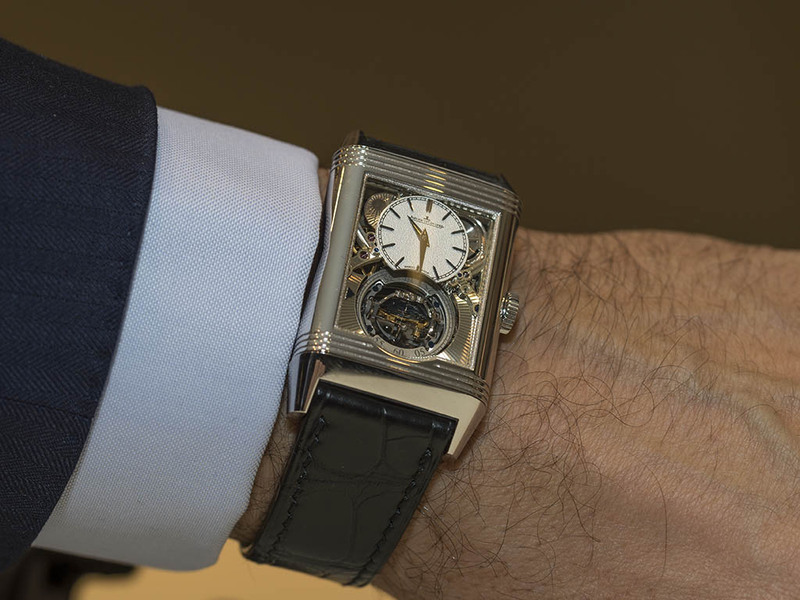 Undoubtedly, the most amazing model of the collection is the Reverso Tribute Gyrotourbillon model. 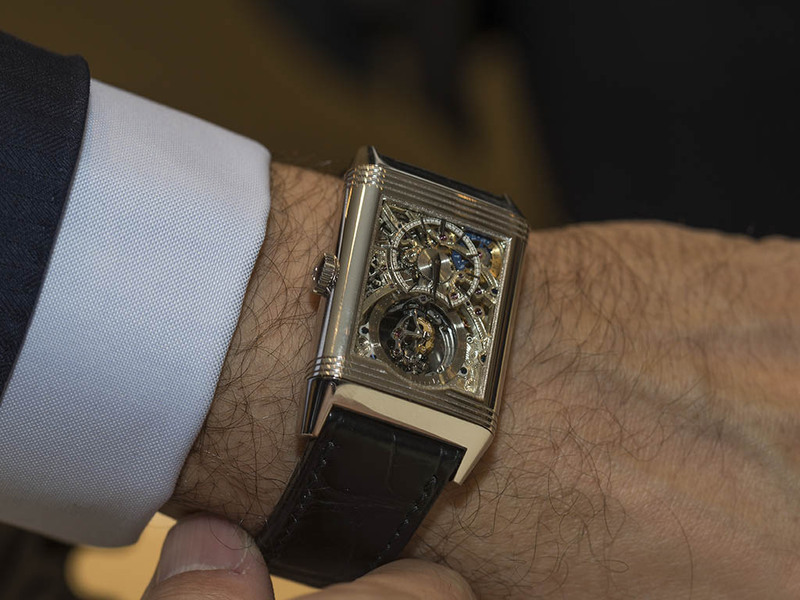 Please click here for my exclusive review of this fascinating timepiece. 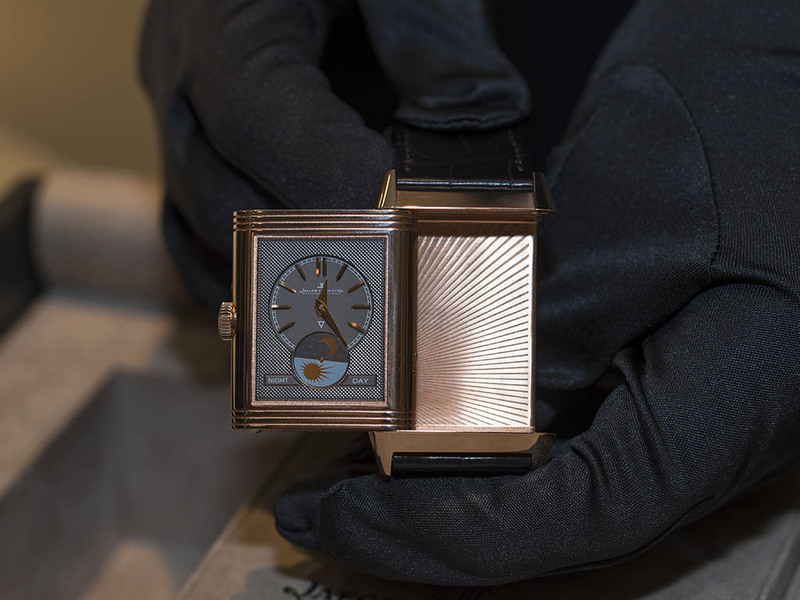 The second Reverso in our photo shoot belongs to a special collection designed in collaboration with Christian Louboutin. 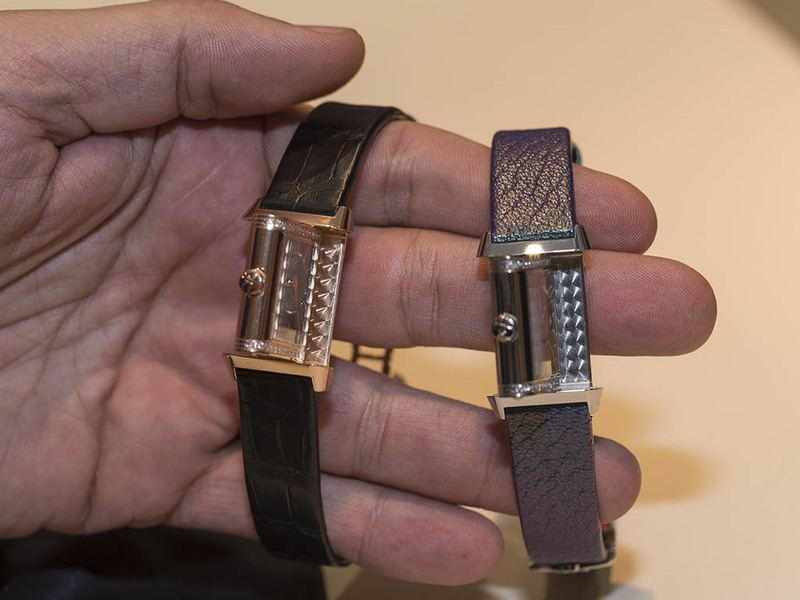 The outcome of that collaboration is a group of watches those look very much like famous designer's shoes - extra ordinary and unique. The third on the batch is the Ref. 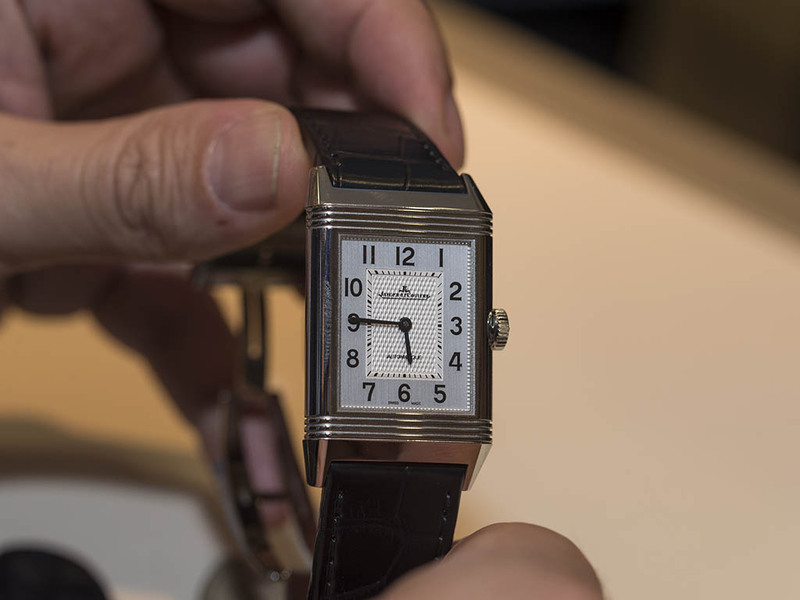 3832420 aka Jaeger LeCoultreLeCoultre Reverso Classic Large Duoface. 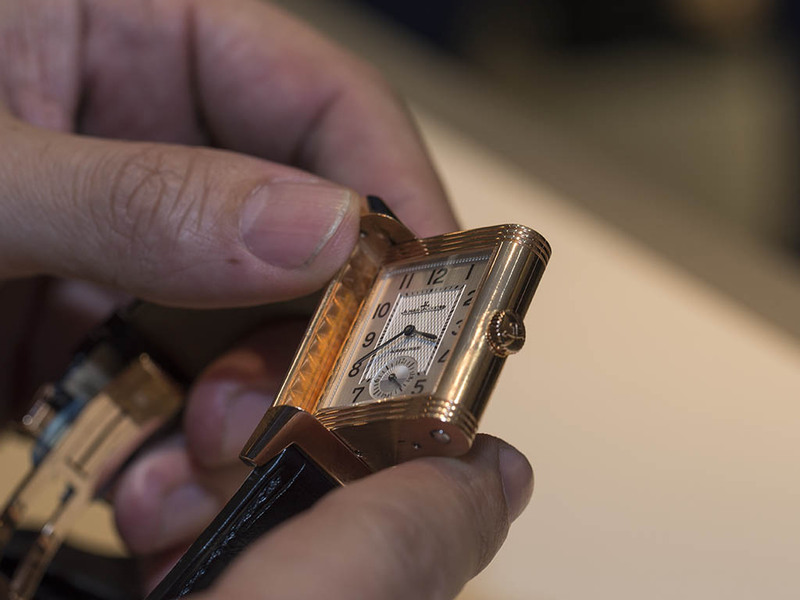 The 47mm x 28.3mm measuring 18K pink gold case houses the Caliber 969 which offers 38h power reserve when fully wound. 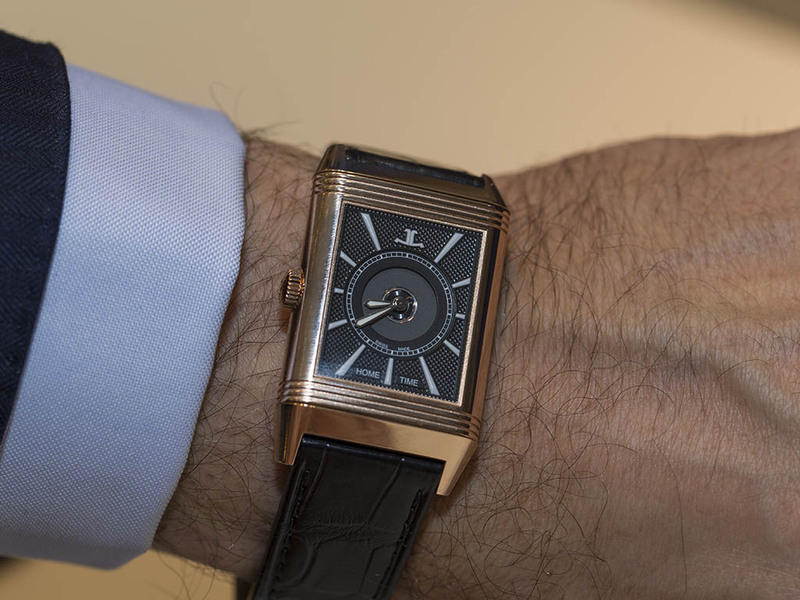 Named after the flipping double face design, Reverso Duoface sports a pair of dials with contrasting black and white colors. 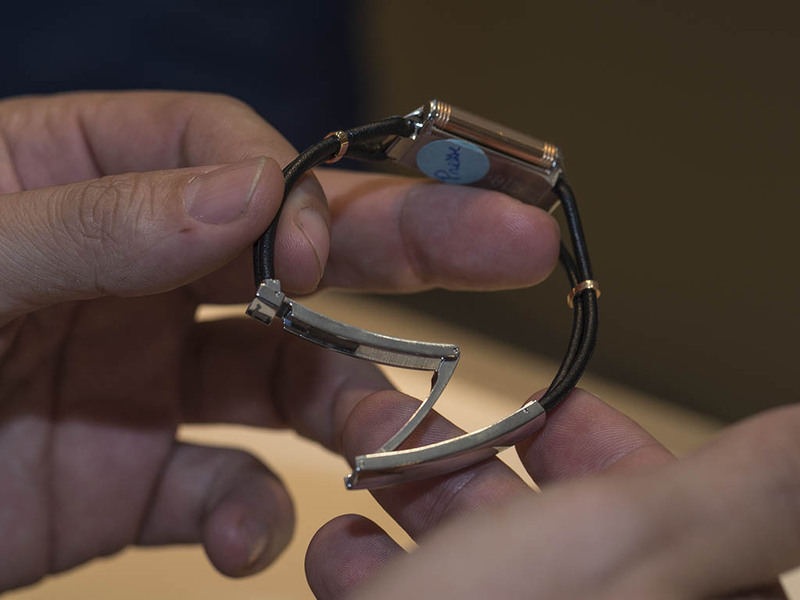 The same model can also be bought in stainless steel as well. 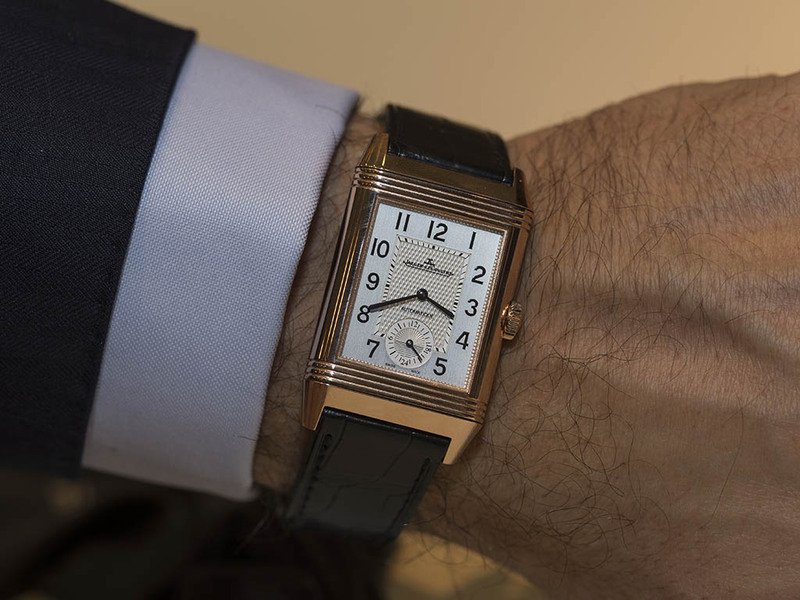 The next Reverso is the Classic Medium model. 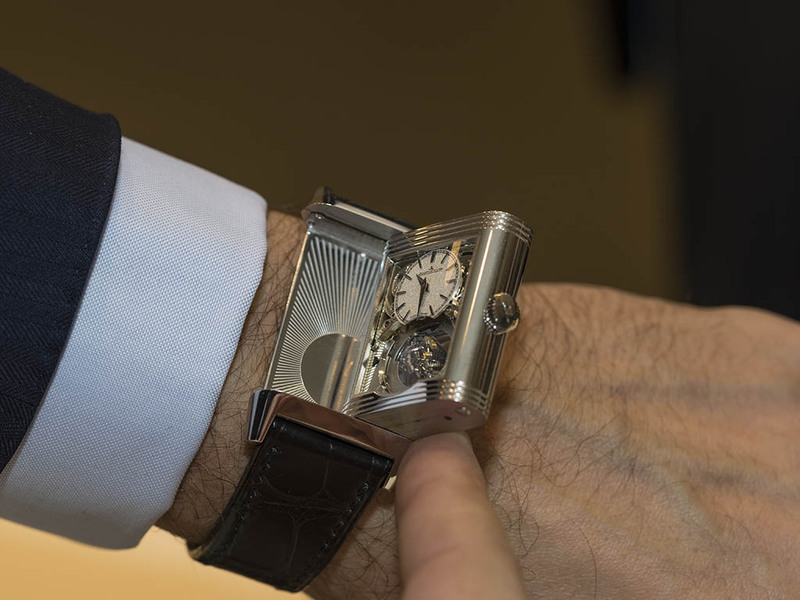 40.1mm x 24.4mm measuring stainless steel case houses the Caliber 965. 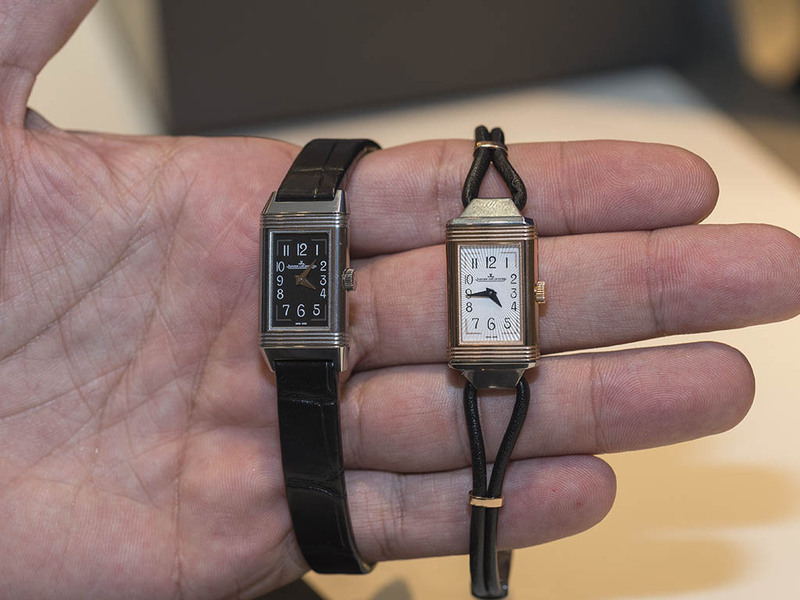 Another ladies model among the rest of the SIHH 2016 novelties is the One Cordonet model. 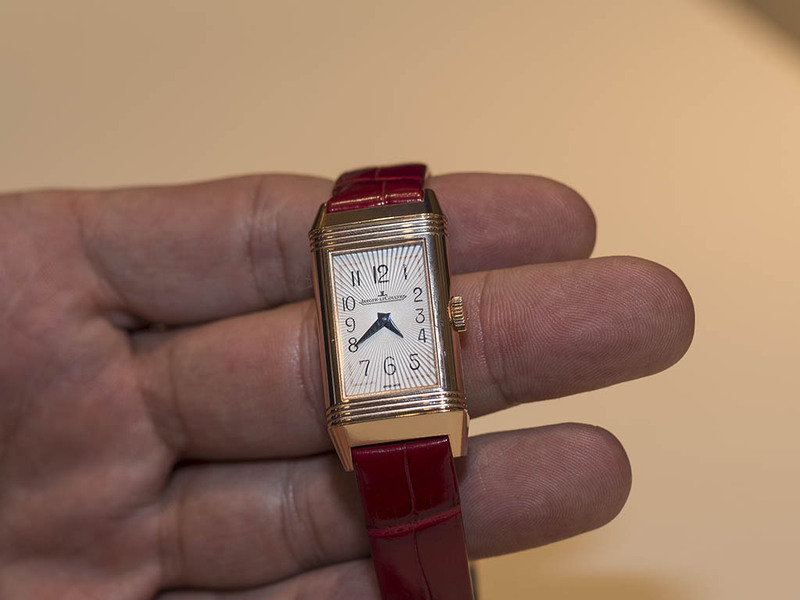 33.8mm x 16.3mm two-tone case is WR30M rated. 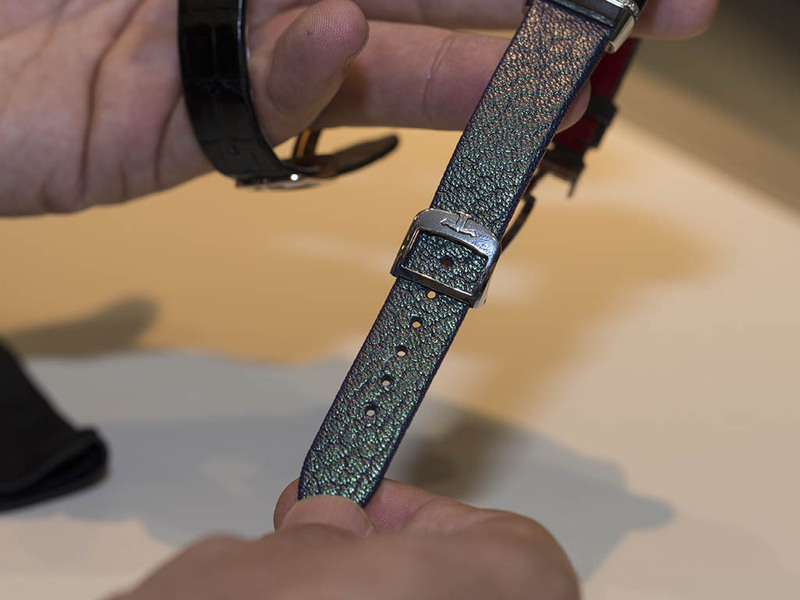 The timepiece is powered by the quartz Caliber 657 and is offered on a beautiful leather strap. 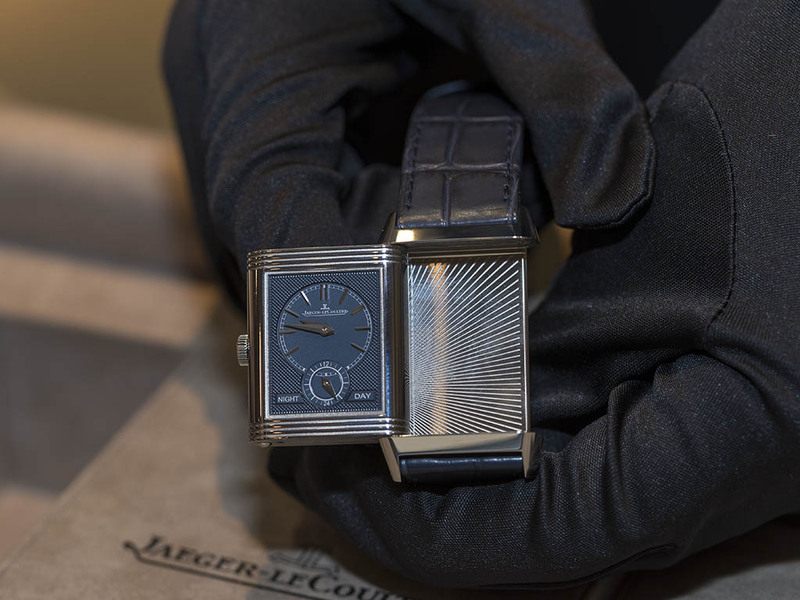 The next Reverso is a ladies watch too - Jaeger LeCoultre Reverso One Duetto Moon. Duoface timepiece features double dials with contrasting colors and a moon phase indicator located at the black dial. 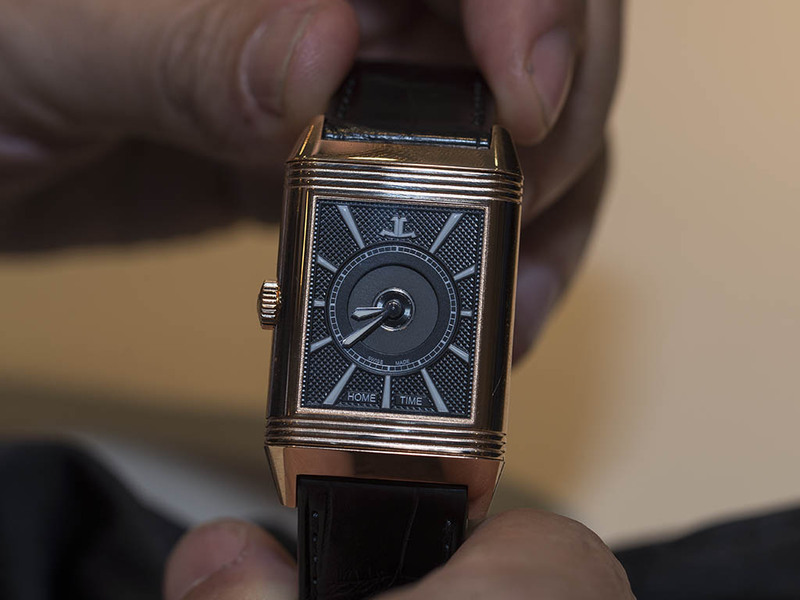 Two-tone case features 28 diamonds at houses the 38h power reserve Caliber 842. 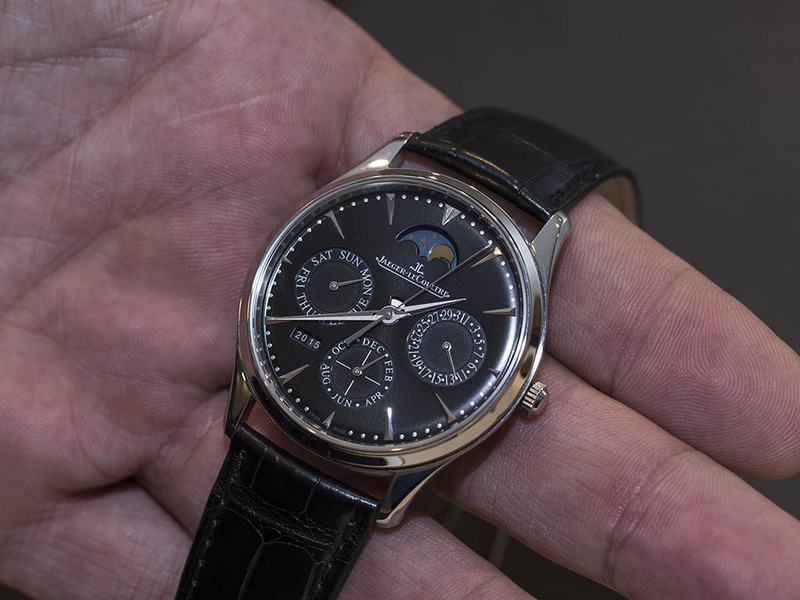 We have another watch with a moon phase indicator again but, this time it's a men's watch. 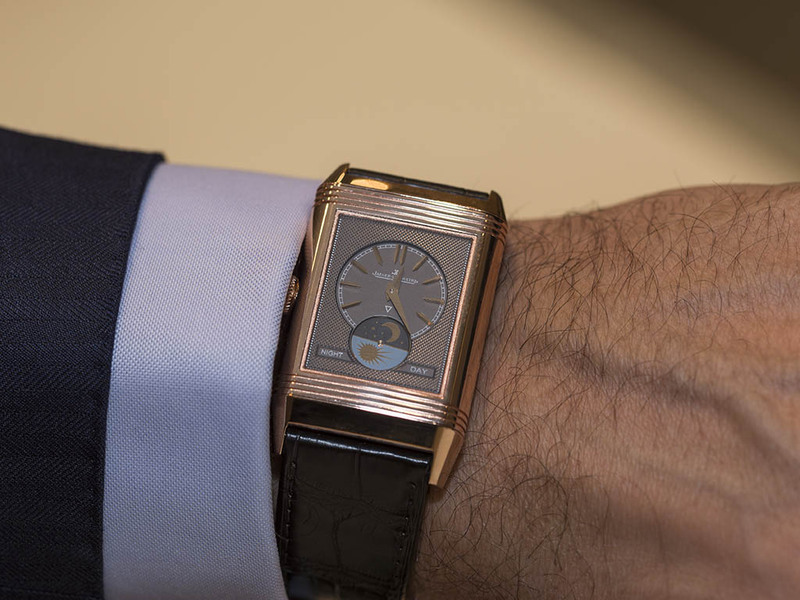 49.4mm x 29.9mm 18K pink gold case houses Caliber 853 with 42h power reserve. 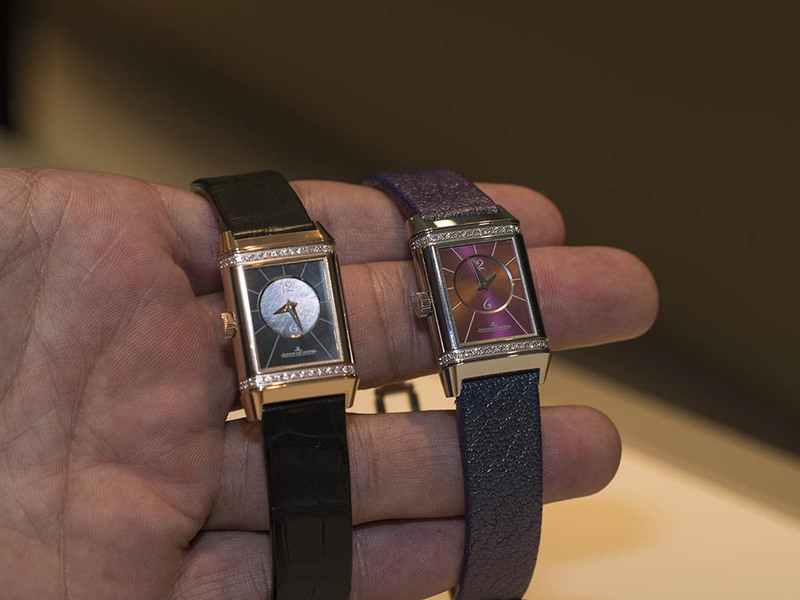 The watch features two dials with in white and pink colors. 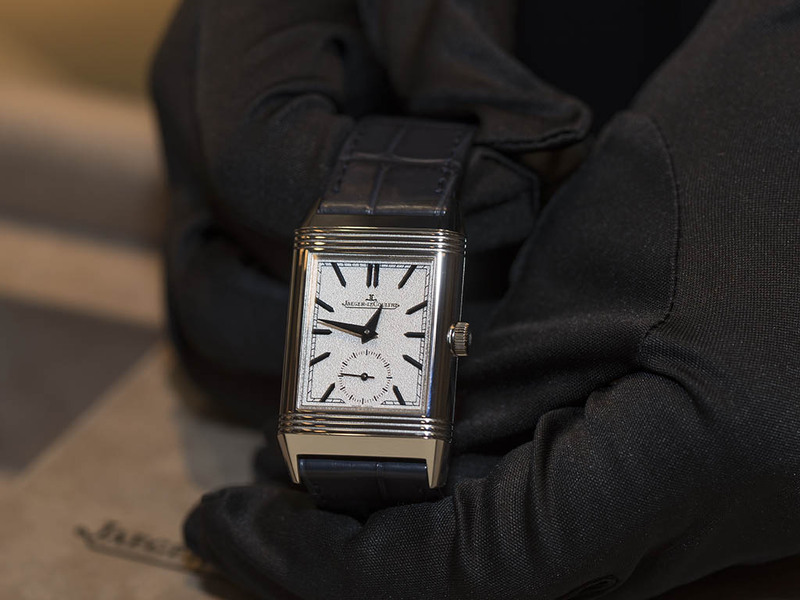 The last timepiece from the Reverso Collection is the Reverso Tribute Duo model. Ref. 3908420 is offered in a stainless steel case measuring 42.9mm x 25.5mm. 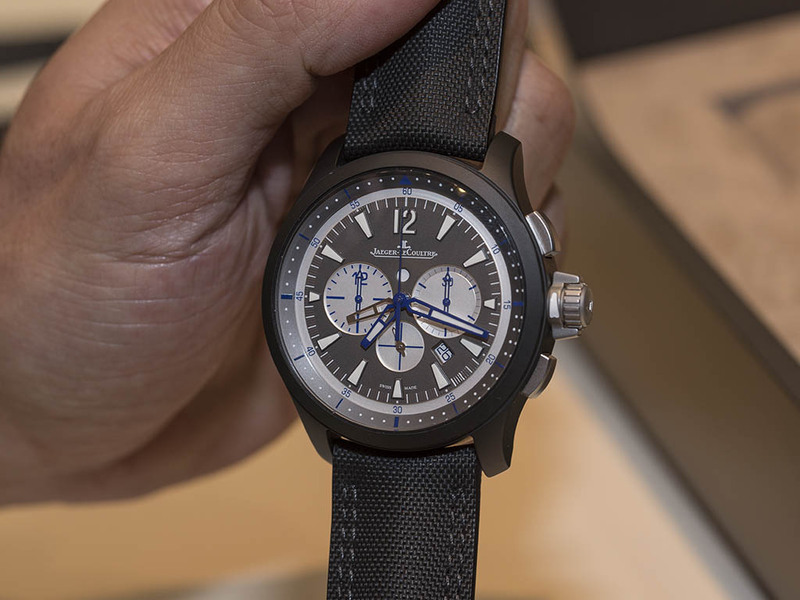 The watch features the Caliber 854A/2 and sports double dials in blue and white color combination in opposite lay out. 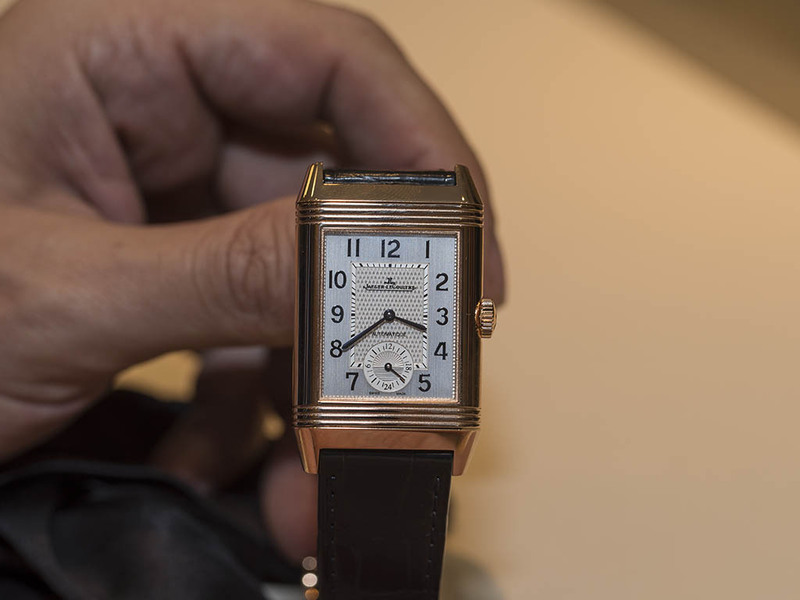 Jaeger LeCoultre released beautiful ladies watches in it's stunning Rendez Vous collection. 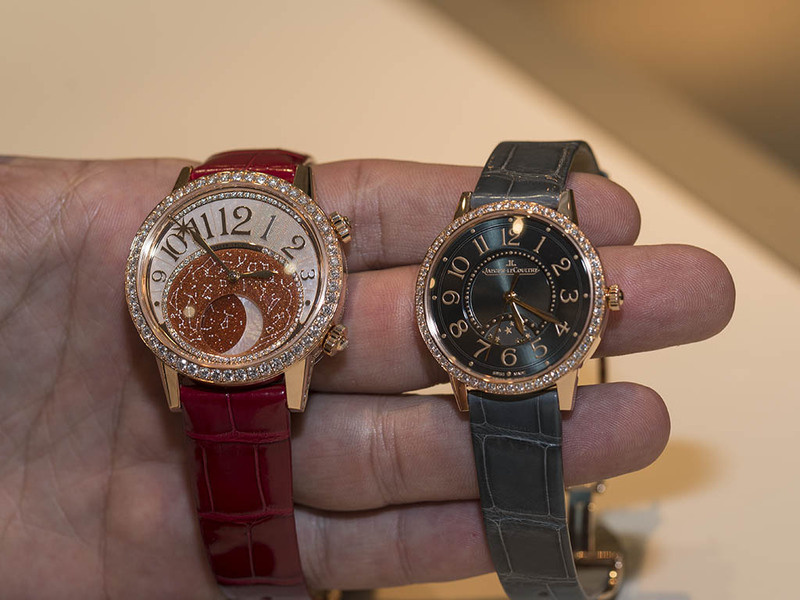 Our choices are Rendez-Vous Moon (left) and Rendez-Vous Night & Day (right) models. 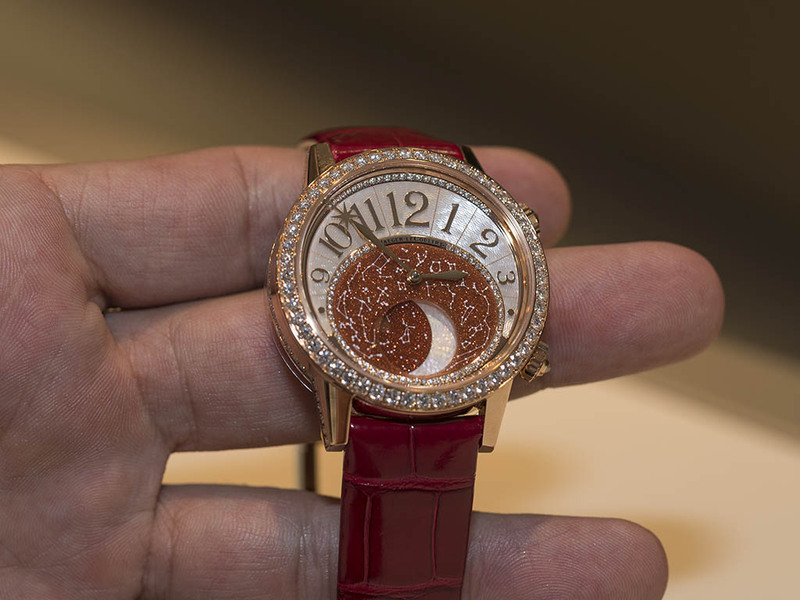 Rendez-Vous Night & Day is offered with 14 different versions. 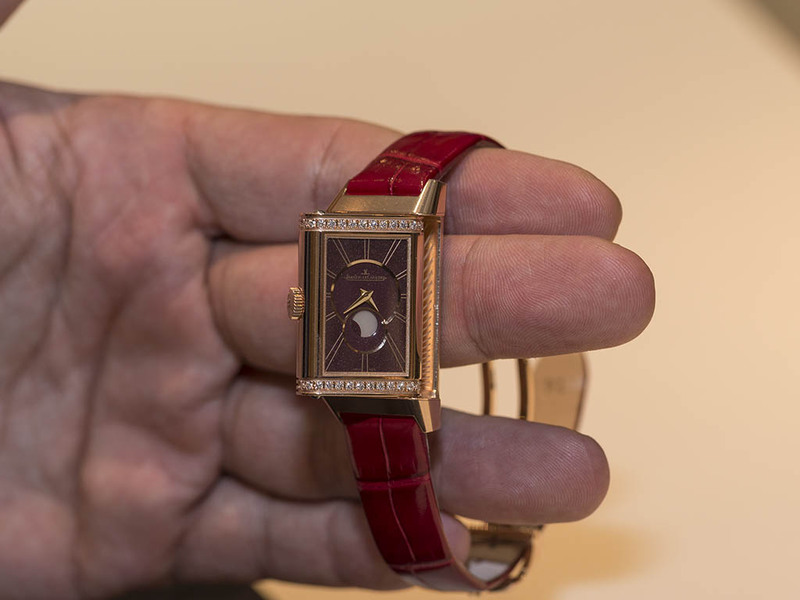 What we have here is the 18K pink gold case with black dial. 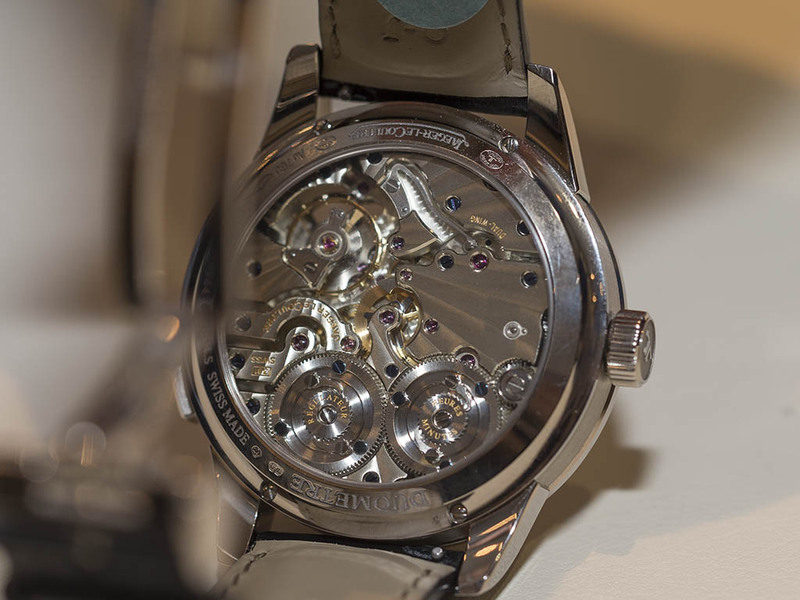 Night & Day model has a 34mm case housing the automatic Caliber 898A. 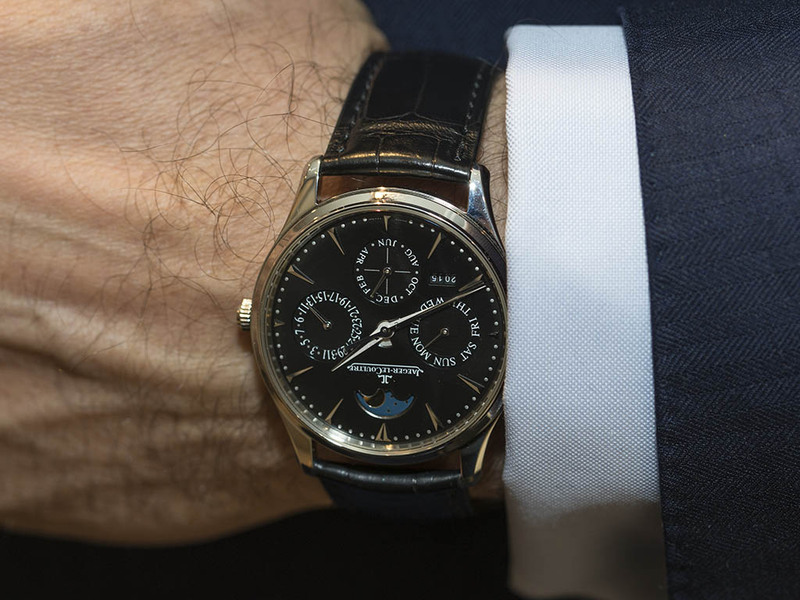 We put our humble hands on the Master Ultra Thin Perpetual model. Ref. 1308470 features a 39mm x 9.2mm stainless steel case offering WR50M rating. 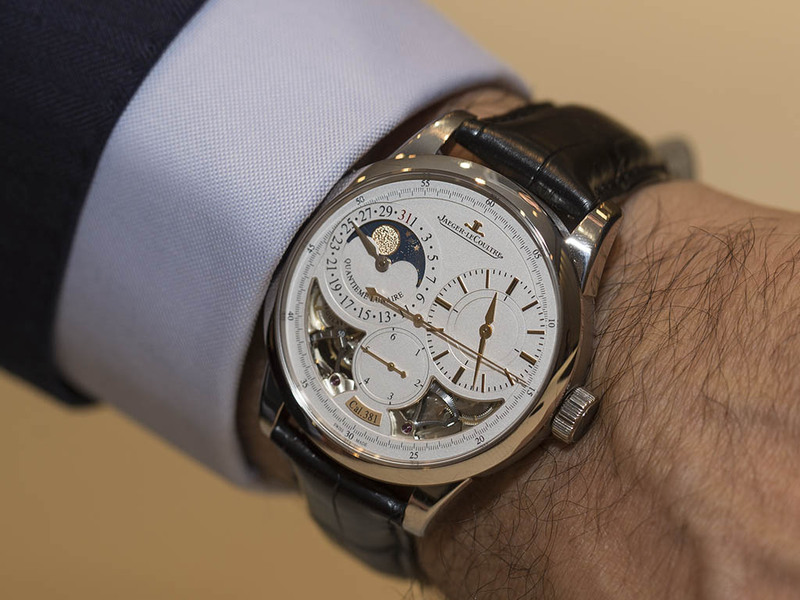 The watch is powered by the Caliber 868 featuring perpetual calender and moon phase indicator. 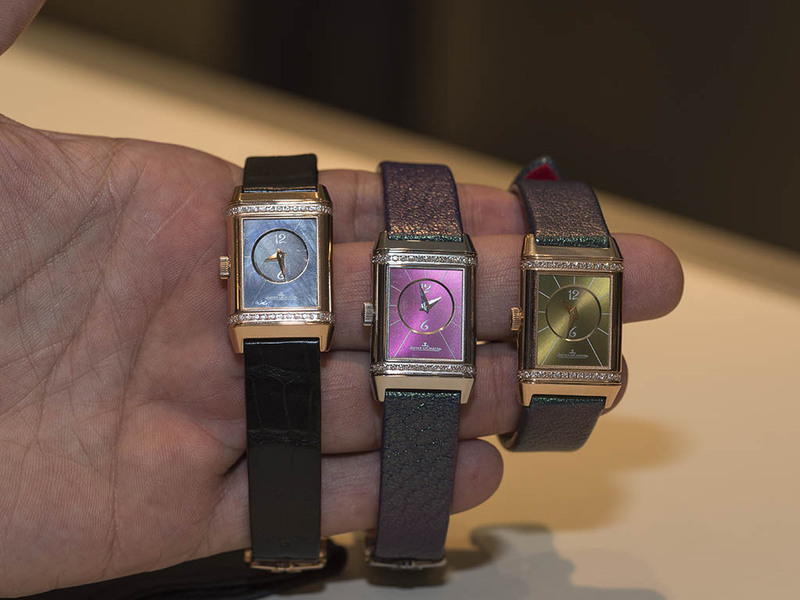 The collection is being offered with four different versions in 18K pink and white gold options. 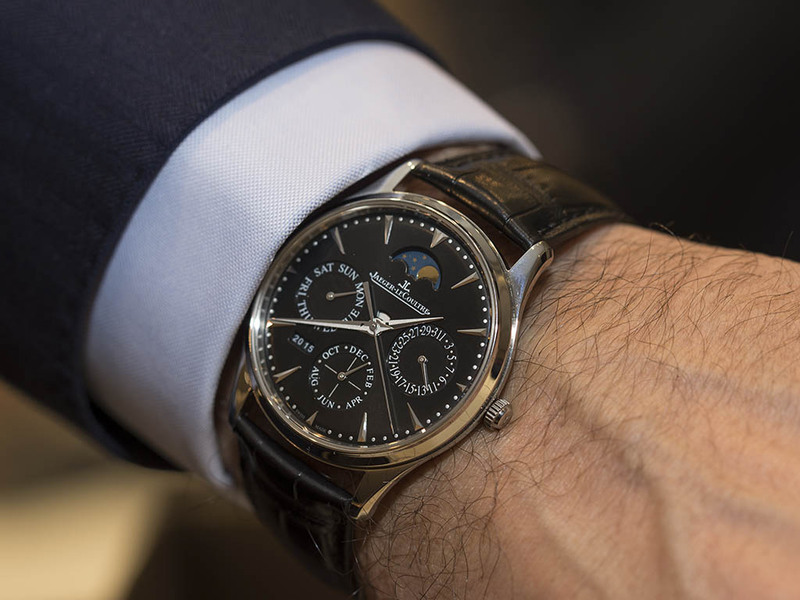 The timepiece beats with the Caliber 381 which successfully features jumping seconds, moon phase indicator and double power reserve. 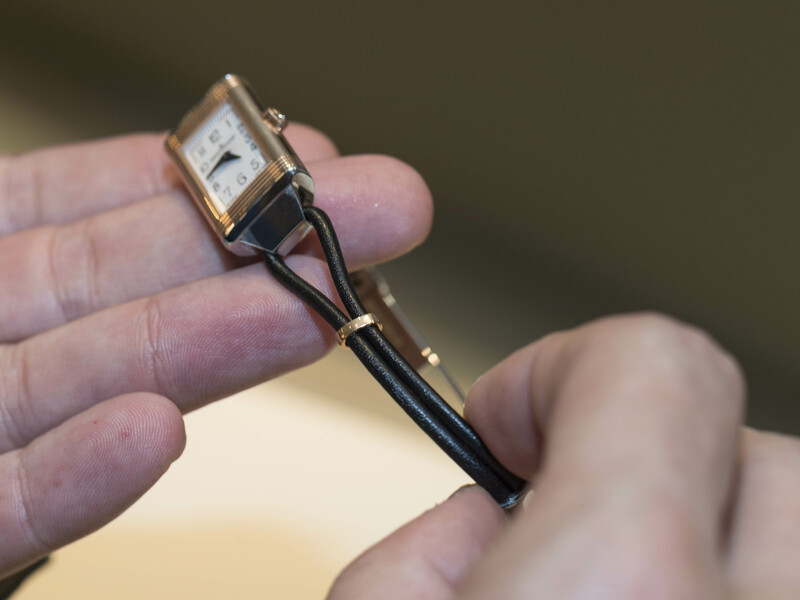 42Mm x 13.5mm watch is rated WR50M. 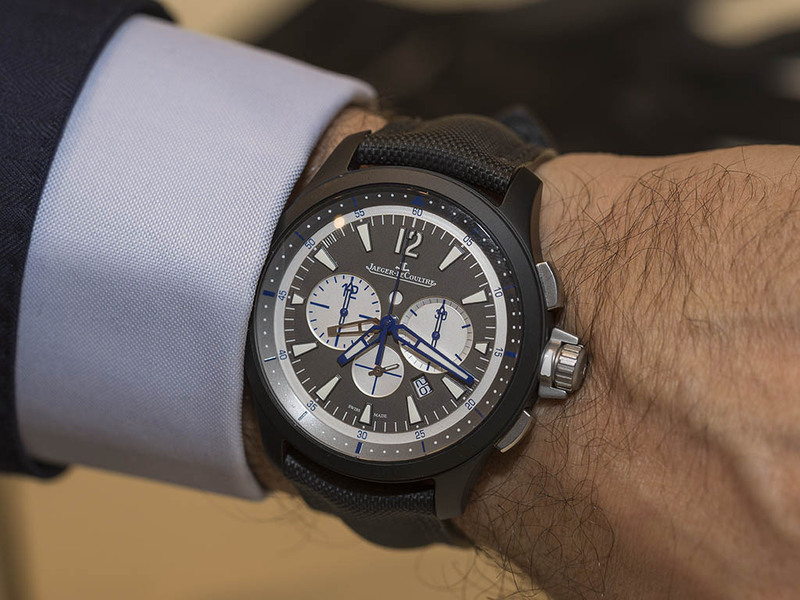 Another significant SIHH 2016 novelty is the Master Compressor Chronograph Ceramic model. The collection features two different versions. What we have here is the Ref. 205C571 with blue tone. 46mm diameter case is made of ceramic and is rated WR100M. The model is powered by the highly praised Caliber 757 with functions like chronograph, second time zone, date and day/night indicator along it's solid power reserve at 65h.